A major winter storm moved across Northern California on Thursday, bringing heavy snow and strong winds to the Sierra Nevada and steady rain through the region that disrupted the morning commute. Dozens of collisions had been reported by 6 a.m. Thursday on San Francisco Bay Area highways, the California Highway Patrol said. The National Weather Service describes it as one of the strongest systems this winter, with wind speeds between 20 and 35 miles per hour and gusts as high as 50 miles per hour. A wind advisory for much of the Bay Area was issued for Thursday between 2 a.m. and 10 p.m., according to the NWS. Heavy rainfall is expected to last through Friday. 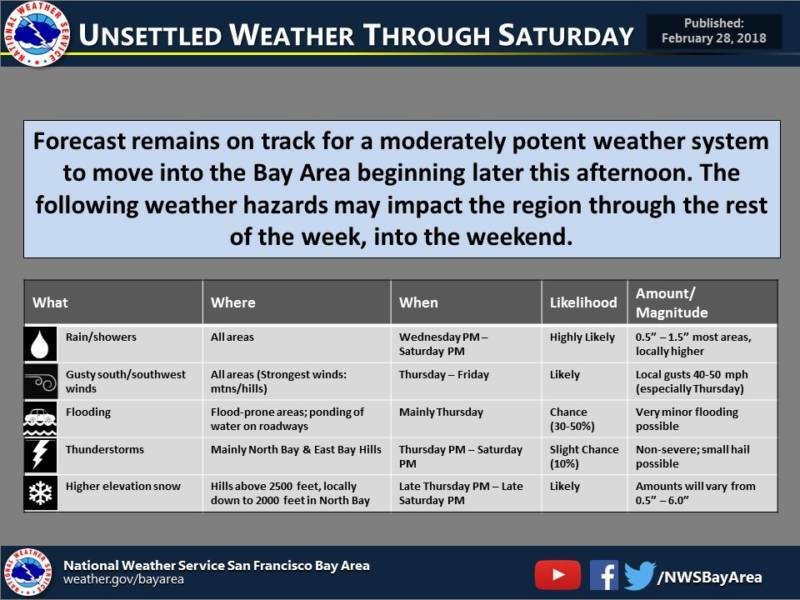 Bay Area residents should be on the lookout for blowing debris, hazardous driving conditions, gusty winds, potential downed trees and powerlines, and possible flooding throughout Thursday, according to the NWS. Up in the Sierra, officials warned people to stay off mountain roads. The California Department of Transportation said there were chain controls or snow-tire requirements in place on stretches of Interstate 80, U.S. Highway 50 and U.S. 395. The Santa Rosa Fire Department issued a weather warning for areas located near the burn scars in Sonoma County, citing concerns over potential flooding and mudslides. 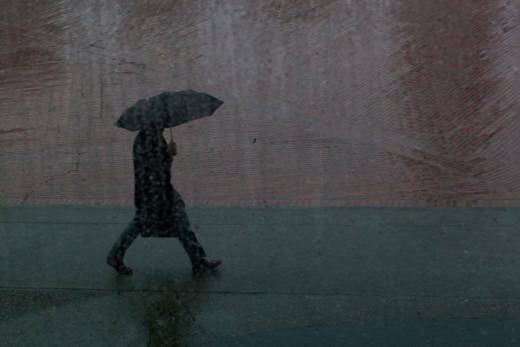 Santa Rosa is expected to see 1 to 1.5 inches of rain. Areas located near the burn scars could see anywhere from one to four inches of rain, according to the NWS. An official analysis of the damage caused by the devastating October wildfires found that properties located within the burned areas are at greater risk of flash floods, mudflows and debris flows. The Sonoma County Recovery website, launched in the immediate aftermath of the October wildfires, has issued a set of safety recommendations in the event of bad weather including clearing debris from drainages to reduce flooding and keeping cell phones turned on to receive emergency alerts.